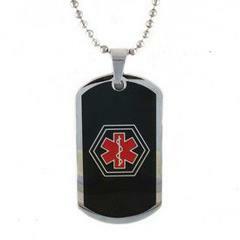 The Rad Tag medical dog tag is a sturdy stainless steel medical dog tag with a black finish and red caduceus symbol. The stainless steel ball chain offered with this medical necklace is 30” long, but can easily be cut to your desired length. 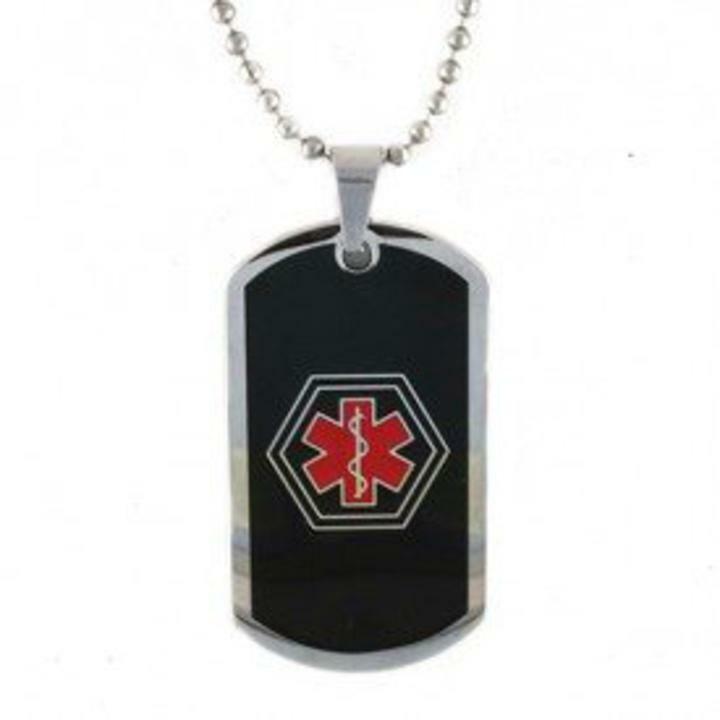 The medical dog tag is 1 3/4" long and 1" wide. Great For Men and Women.